Forty-five minutes ago, I spoke with Rabbi Binyomin Rosenberg to get an update of the relief activities of Eizer L'Shabbos in Tsfat. Rabbi Rosenberg reported that "each week is a struggle" and the situation continues to require renewed sources of funding since many of the residents who initially evacuated Tsfat are now returning to their homes and find themselves without basic necessities. Over Shabbos, Eizer L'Shabbos distributed 1,300 food portions consisting of chicken and fish to those in need, and yesterday alone, Eizer L'Shabbos distributed an additional 600 meal portions. Rabbi Rosenberg told me about the non-stop phone calls he continues to receive regarding the desperate condition of those who are living in bomb shelters without such basic necessities as toilet paper. "A news crew was in a northern city before Shabbos and found only 1 store open - a grocery. They asked him - on camera - why he was still open, and he said: "Because Eizer L'Shabbos gives out food coupons, so I need to be open to provide the food"
Yesterday, nine Israeli soldiers died while fighting in fierce battles in Lebanon with Hizbollah. Sixty more soldiers were injured in the battles, many of them severely. Looking at their faces and reading about their lives cut short in the newspaper this morning, I wept over my computer keyboard. When we think of soldiers, we tend to think of pawns on a chess board, anonymous muscle-bound Rambos and borderline thugs who live to kill and be killed. But in Israel, where most eighteen-year-old males are required to serve in the Army, the army is composed in large part of sensitive, intelligent, idealistic young people who are willing to risk their lives in order to protect Israel from the many enemies that surround it. It is composed of people like the soldiers killed yesterday. Like company sub-commander thirty-one-year-old Ro'ee Klein z"l, who is survived by his wife Sara and two children, Gilad aged three and Yoav aged one. A friend of Ro'ee said yesterday: "The most striking thing about Ro'ee was his gentleness, his calm nature, and the smile that was always on his face. His tremendous love of the Jewish people and the land of Israel are what motivated him to dedicate himself entirely to his army service, and to ultimately give his life to protect his people and his country." Ro'ee's funeral will take place today, on his thirty-first birthday. The Israeli army is made up of people like twenty-four-year-old division-commander, sergeant Amichai Merchavia z"l. Amichai, whose name means "My People Lives," had a thin, gentle, scholarly face and wore wire-rim glasses. In the newspaper photo, despite his uniform, he resembles a yeshiva student far more than a soldier. His father said of Amichai, "There are people who live seventy or eighty years, and there are people who accomplish just as much or more in twenty-four years. We are proud that we have a son like this. Amichai knew exactly what to do in his life, without a trace of uncertainty." More painful than anything in this father's eulogy for his son is the excruciating switch, from one sentence to the next, from present to past tense. The Israeli army includes soldiers like twenty-seven-year-old Asaf Namer z"l, who emigrated from Australia two years ago as an expression of his unwavering devotion to Israel and to fulfill his dream to serve in a battle unit in the army. And twenty-four-year-old Alex Shwartzman z"l, an immigrant from the Ukraine to the northern town of Acco. After his father passed away, his mother recalls that he took care of their family "like a father." 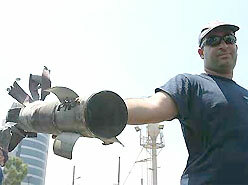 When missiles fell on Acco, he called his mother and sister from the fighting in Lebanon to make sure they were OK. Yesterday evening, with my heart very low on account of the news from Lebanon, I walked to Jerusalem's central market. At 9 PM on Wednesday night the market was so packed with people shopping for Shabbat that it was hard to move. I maneuvered my shopping cart through the crowd, and as I picked out carrots and celery and onions for chicken soup, I felt ashamed. In Lebanon, our soldiers, some of the best young men of our generation, are being hunted and slaughtered like animals. And here I am, inspecting lemons as though nothing is going on? But then, from one moment to the next, I saw the crowd of shoppers differently. There we all were, Jews in the Holy Land preparing for the Holy Shabbos. These soldiers gave their lives for me, for us. They gave their lives so that we could do exactly what we were doing, living as Jews in our country, unthreatened by missiles falling, unthreatened by Jew-hating murderers who killed millions of us over the centuries when we had no army to protect ourselves and nowhere to run to. These holy soldiers died so that I can live in Israel with my husband and children, unafraid. How will a walk with my children around the block, or a quiet morning at home with my baby, or a bowl of chicken soup on Friday night ever taste the same knowing that so many young men sacrificed their lives in order for me to have that privilege? How much holier, giving, better I must strive to be in order to be worthy of the ultimate sacrifice that these young men and their families gave for our sakes. Last night I asked my two year-old son, "What is my name?" "What is the baby's name?" "What is your sister's name?" I have been racking my brains over this for the past month because I have heard him say his older sister's name clearly on a few occasions. 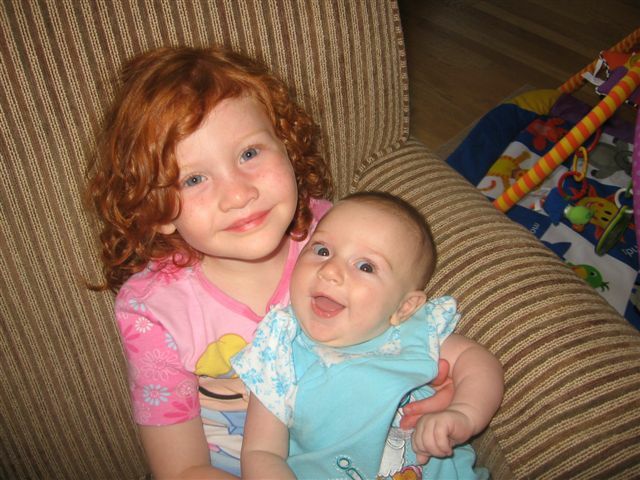 Although he has said her name in her presence a few weeks ago, now my son only says his sister's name when she is not in the room. They certainly fight like most siblings do, however, they often play very nicely together and my older daughter sometimes sits with him to look at books together. So, why the "Buhh buh"? What is the message he is trying to communicate? Is it simply a form of passive aggressiveness? The Brother of "Buhh Buh"
The opportunities for ascent that the Golus offer are much greater than those that were available while the Beis Hamikdash stood. Since the mitzvos are much more difficult to perform, they are therefore more precious. During the era of the Golus, even the prayers of a simple Jew on a mere weekday parallel the service of the Kohen Gadol on Yom Kippur. The Ari's teachings are not only evident in chassidic thought, but also in the day-to-day life of its adherents. The tzaddikim and their followers preferred to adapt the customs of the Ari even where these ostensibly conflicted with the halachah as ruled in the Shulchan Aruch. They altered the text of the prayers, the familiar nusach Ashkenaz, which was a centuries-old tradition throughout Jewish communities, in favor of the Ari's text, today referred to as nusach S'fard. "After the holy angel, the Baal Shem Tov, descended from heaven, he understood that his soul had not emerged from the gateway of nusach Ashkenaz...therefore whoever adheres to the precepts of the Baal Shem Tov and his disciples has embraced the version of the Arizal." "IDF officers arrived at the home of Maj. Ro'i Klein this week to inform his widow he had fallen in battle. In a few months, they are liable to return - to remove her from her home and destroy it." 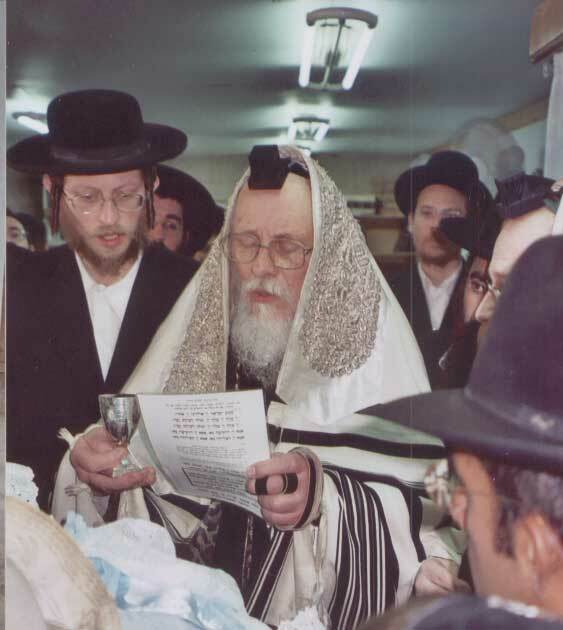 Once Rebbe Yaakov Shimshon of Shepetovka visited Eretz Yisroel for a time. After his stay, he decided to return to his home in order to move his family to Eretz Yisroel. On the way home, he stopped off at an inn. When he saw himself in the mirror there, he noticed that the long and arduous journey had made him appear gaunt and pale. He said to himself, "If I return this way after my stay in Eretz Yisroel, my friends will think that the country is unhealthy and I will thus inadvertently, Heaven forbid, be maligning it." What did he do? He stayed at the inn for a number of days, eating and drinking properly until his appearance reverted back to its normal, healthy state. When he returned to his home, people thought he looked better than when he had left, and all felt how goodly a land it was. "I am emailing you to announce that on my new website, visitors can download entire books of teachings by Rav Kook, R. Nachman of Breslov, and the Piaseszner Rebbe, as well as Hasidic stories and original poetry." Always take care to honor one another. Be especially strict in maintaining peace amongst yourselves. Forget your quarrels; cast aside your petty differences. Today I will begin to put the dread of you and the fear of you upon the nations that are under the entire heaven, who will hear reports of you and shake and be in trepidation because of you. Kate Hudson refuses to cut her two-year-old son Ryder's hair, even though the tot is regularly mistaken for a girl. The How To Lose A Guy In 10 Days star attempted to give her young son's hair a trim in the past, but found the process too agonizing. She explains, "Actually it's really funny, because I just couldn't cut it. I couldn't get myself to cut it. 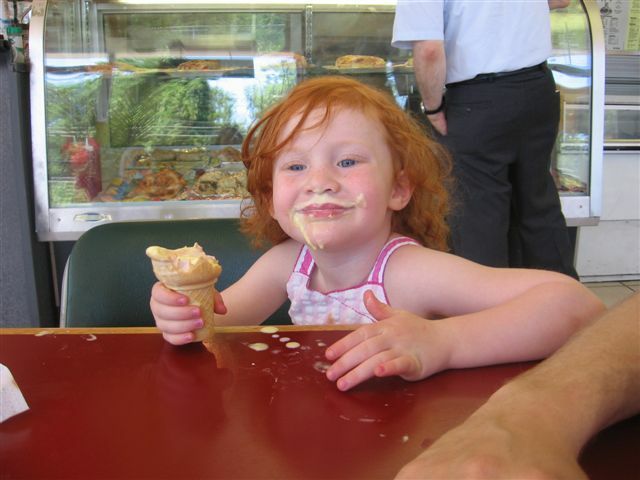 "I'm part-Jewish, Hasidic Jews - they don't cut their kids hair until they're three. "I'm not very religious, but it's actually kind of beautiful, they compare the men to a tree and trees don't bear fruit for three years. "So I just figured maybe on his third birthday I'll cut it. I'm going to cry my eyes out!" Knowing that she is avid reader of People Magazine and is current with the latest celebrity news, my wife called her mother and relayed this news about Kate Hudson. My mother-in-law was overjoyed and thought it was fantastic. "Kate Hudson is SO beautiful!," she commented. The ironic thing about this whole matter is that my mother-in-law has never been happy with the fact that my wife and I decided to observe the custom of upsherin with our son. 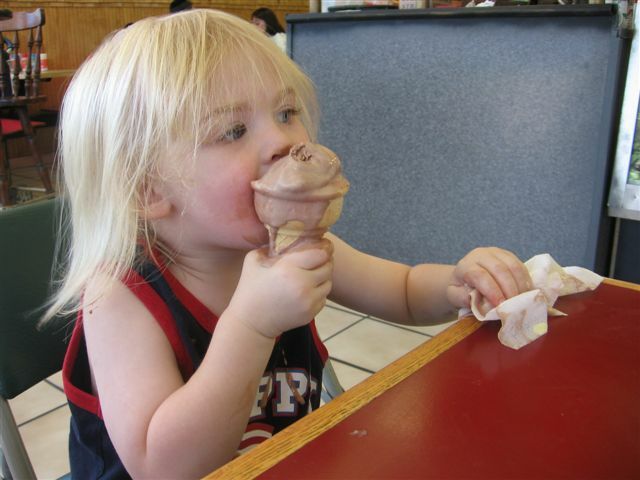 She repeatedly finds occasions to make hints that his hair is too long and looks forward to his third birthday when he will be a normal boy like everyone else. Now, however, with this Hollywood hechsher, the fact that a celebrity is doing it, makes it the greatest thing in the world. It never ceases to amaze me how the masses blindly follow those on the big screen. The evil inclination prevails only over what one sees with his own eyes. Yitz is on the right with an orange ribbon. The following is an excerpt from a drasha delivered by the Bostoner Rebbe Shlita in his Beit Medrash in Har Nof, on Shabbat Parshat Pinchas, shortly after the war broke out. "Exactly one year ago, the inhabitants of Eretz Yisrael despised the land and were willing to sacrifice parts of the country into enemy hands, enemies who did not even wish to own the land. These people felt that it was their choice to decide which parts of the land were theirs to give and to keep. Today, one year later, they see that even those parts that they wished to continue perpetuating and keeping as their own are not secure." Is there halachic basis for anti-Zionists to believe that Hashem allows them to actively support people who kill Jews? While one might argue whether or not the Baal Shem Tov would be anti-Zionist if he was living today, do you think the Baal Shem Tov would meet and encourage promoters of suicide bombing and burn Israeli flags? It is my deep conviction that anybody who posses even a basic understanding of chassidus and its inner view of current events understands how Zionism and Judaism are radically opposed. On the topic I recommend "Toras Aleph" letters from the Choproner Rov z"'l they are all introductions to chassidus written to his students and many deal with the issue of Zionism and the inner Torah, there also are some strong mahamorim and letters from the Rebbe Rasha"b and a fantastic sefer called "aes nissayon" by Y. Y. Domb from London (I think that there exist an English translation but I'm not sure). Now, about rallying with the PLO or the like. It is the conviction of Netury Karta leaders that because in people's minds Jews and the State of Israel are one and the same, many Jews are in danger, and that it is crucial to let the world know that Jews and Zionists are not (necessarily) related. In order to do so, some burn Israeli flags join Palestinian rallies,and so on. It is their believe that by doing so they save Jewish lives. If they are right or at least have a point, I don't know. I'm personally uncomfortable with it, and since The Satmar Rov z"l was against it, I stand where I stand. On that note, I also would like to express my discomfort with the way Israeli soldiers and officials treat Palestinians. Is it all we've learned from two thousand years of golus, to turn overnight from oppressesed into oppressors? As for the Baal Shem Tov's position, we know that he fought the Frankisten with tooth and nails, and as I said before I believe that he would have opposed Zionism. For the rest, your guess is my guess. I appreciate your willingness to engage in a conversation on this touchy subject. Although I am aware that indeed there were some great tzaddikim who vehemently opposed Zionism, there were other tzaddikim who did not maintain this position. Furthermore, I am unaware of any psak halachah that is universally accepted on this issue. I think there is a huge difference between burning an Israeli flag and supporting groups that kill Jews. While I am far from an expert in the halachos of who is a moser, it would appear to me that a person who actively engages in helping a non-Jew who is planning to kill Jews would be coming very close to this status. Let me be clear, I think that it is totally legitimate for someone to be an anti-Zionist, however I think the person is walking on halachic thin ice when his anti-Zionism leads him to support groups that kill Jews. Anti-Zionists routinely say they are for the "peaceful" dismantling of the State of Israel. However, looking at the words and actions of Hamas and Hizballah, it appears that their method of attaining their goals is far from peaceful. First of all a universal psak halachah is a rare breed, forget a universal psak hashkafah. However historically the majority of Jewish orthodoxy opposed the Zionist idea. I also feel that a distinction should be made between burning the flag of a state that has caused the death of so many Jews as predicted by the tsadikim who opposed its foundation, and supporting groups that kill Jews. As for mesirah it is a totally different geder, above all remember that those people believe that by doing so they prevent the killing of more Jews. That has nothing to with the proposition of giving the state of Israel to the U.N., a proposition that sounds to me "unrealistic" to say the very least. It appears that we are making progress in this discussion in that you too disagree with the fact that some anti-Zionists support groups that murder Jews. Now, lets take this one step further - you differentiate between these groups and those who protest the State of Israel by burning Israeli flags. If one desires that the State of Israel be peacefully dismantled, it seems that some anti-Zionists are sending another message by burning the flag, since an outside observer would interpret the act of burning the flag as an act of anger and violence. Ironically, the anti-Zionist is conveying the opposite message than what he intends to, since it appears he wants to burn the State of Israel. If a person wants true peace in Israel, perhaps he should just daven that Hashem sends us Moshiach. I think this is something Zionists, non-Zionists, and anti-Zionists can all agree on. I am absolutely astonished at those who fear G-d and yet spend all their lives outside Eretz Yisroel, to eventually be buried in those impure lands. I am not surprised at those who place their material wants over their spiritual needs, for to them one country is like any other, and every other country is to them Eretz Yisroel. But I cannot understand Chassidim, who consider their spiritual needs as supreme and their bodily wants as secondary, and yet live elsewhere. Even if these people spend all of their lives performing all the mitzvos, and davening properly, they will not accomplish as much as they will within a single year of living in Eretz Yisroel. One cannot compare a servant who works within the king's palace to one who works in an isolated island far away from him, even though Hashem rules supreme everywhere in the world. Please click on the Eizer L'Shabbos box above, download the flyer, and see that this flyer gets the widest possible distribution (either hang this flyer in your shul, forward it on to others via e-mail / listserv, or post it on your own website). This is a free and easy way you can help those in need in Eretz Yisroel! Thank you in advance for your kindness and willingness to help. Be sure to read the wondeful postings about teshuvah from Akiva, Yerushalmi, and Neshama here, here, and here. Enclosed is the translation of the letter I got today. Some of us are without a roof on our heads. I closed my business since the beginning of the battle and I don't know what will happen. We are wandering between family and good people. Our family life has been impaired. I never thought that I, a Haifa resident for 30 years, would be a refugee in my own land. Every thing sound so familiar from the close past. You found yourselves without a home, like that and you never had someone that listened to you. Even when you came to visit me to my house, to explain, to convince, to share your feelings with me – I refused to listen to you. It has already been a week. I am out of my house, without my regular routine, it is very hard to me – but the empathy, the support, and people identifying with our plight helped me go on. You , don't even have that. You – In guest houses, hotels and even in tents- It's not easy to say: "Who cares?!" People from Gush Katif and the Shomron! Forgive us for letting you on your own. Forgive us for not understanding you. I am not a religious man, and not a mystic person. And the price that I am paying now for my understanding. Can We Find A Job For Her? I read your blog again recently I enjoyed the discussion on siddurim and nuschaos. 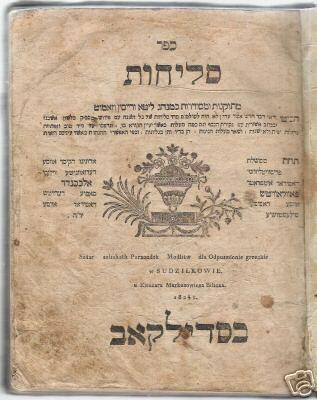 If you can pick up the Tefillah Yeshara Siddur printed by Ateret (originally printed in Berditshev) it has an interesting commentary called Keser Nehora you might enjoy. The nusach there is very similar to Ashkenaz many Chassidim used to use that siddur, as well as the Siddur of the Shel"a* and that of Rav Yaakov Emden the Kol Yaakov. All those nuschaos have brackets due to the confusion regarding the kavanos of the Arizal. I once asked the Clevelander Rebbe if it was preferrable to use the Chabad nusach or the general nusach from standard Siddurim and he told me to use the standard was better since it reflects the majority and the Baal HaTanya's Siddur had many changes that other Tzadikim rejected like removing Tzur Yisroel from Shacharis before Shemoneh Esrei. There is a famous story that the Baal HaTanya showed his "new" siddur to another Tzadik (I believe it was the Premishlaner) and the latter asked the Baal HaTanya, "How could you take out the Tzur Yisroel? "- a play on words referring to Hashem himself who is called the Rock of Israel as well as those words from text. I agreed with the analysis of Rav Rimmer's Siddur a valuable work for research etc. but not the derech of the Baal Shem Tov's students. My Rebbe Shlit"a quoted to me from the Shulchan HaTohar of R' Eizikl of Komarna that our Kabbala was that because the Baal Shem Tov was Ashkenazi his approach to the Arizal 's customs was based in Asheknaz custom and nusach. * The Sulitzer Rebbe Shlit"a told me whosoever davens from the Shel"a Siddur is said that his prayers are not left unanswered as said in haskama / approbation of Rav Yoel Sirkis (author of the BACH on Tur) to the Shela Siddur. I have read most of Rabbi Daniel Rimmer's analysis of Nusach ARI as the "shaar ha-kollel," and find his reasoning to be very compelling. His Tefillas Chaim Siddur is a brilliant work that brings this discussion to its zenith. However, I am sympathetic to Rabbi Zwecker's position, too. 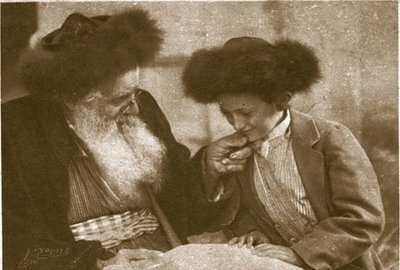 As Chassidim, we identify with our great Rebbes, beginning with the Baal Shem Tov, and most of them believed that it is appropriate for us as Ashkenazim to adapt Nusach Ashkenaz according to the ARI zal's modifications (found in various works such as Pri Etz Chaim, Shaar Ha-Kavannos, et al.). The Siddur Baal ha-Tanya is one of the classical attempts to synthesize nuschos to conform to both the ARI and various poskim and other mekkubalim. To say that it is simply "Nusach ARI" would be incorrect -- and it would be an injustice to the Baal ha-Tanya, who no doubt had many kavannos and cheshbonos in redacting his siddur. It remains an extemely chashuv and time-honored nusach that many Chassidim and Rebbes used in addition to those of Chabad. 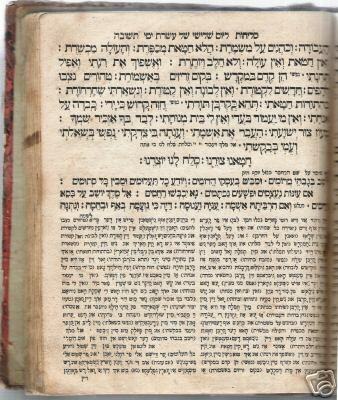 The Tefillah Yesharah or "Berditchever Siddur" (so named because it includes the haskamah of Reb Levi Yitzchok of Berditchev on Rav Aharon of Zhelkhov's perush, Kesser Nehorah) reflects the nusach of the Zholkover Siddur ARI, if I am not mistaken, and is close to Nusach Ashkenaz. 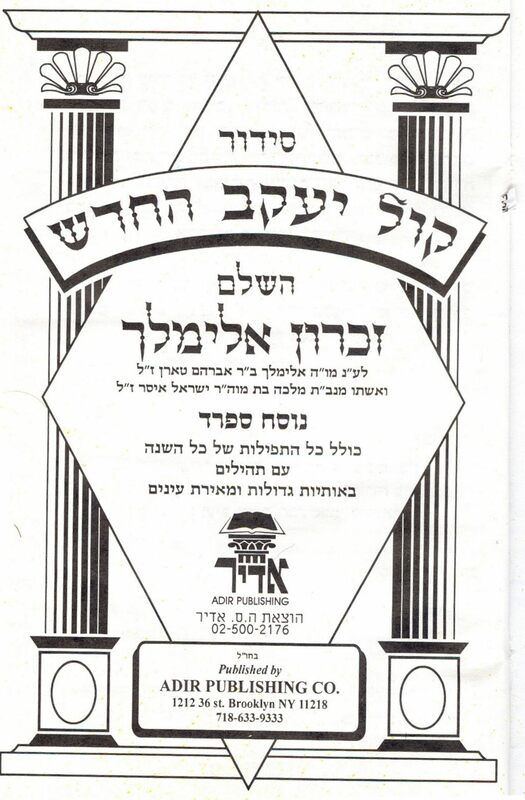 Ditto Rav Asher's Siddur ARI, which was popular with many early Chassidic leaders including Reb Pinchos of Koretz. I once read that the nusach in Rav Shabbsai Rashkover's Siddur ARI was closer to the Sefardic siddur of 1524, which Rabbi Rimmer uses as the basis for his ground-breaking work. 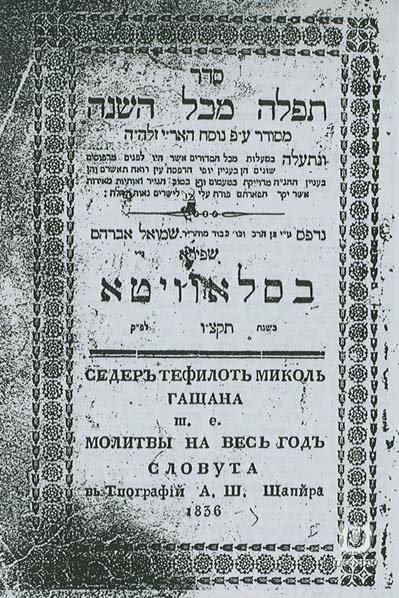 However, I'm told that when the Shoprener Rov prepared Rav Shabbsai's Siddur ARI for reprinting, he substituted the nusach of the Minchas Elazar of Munkatch, also published along with the Siddur Chemdas Yisrael of Rav Shmuel Vital. Assigned this task by his father, the Darkei Teshuvah, the Munkatcher Rov was the last Gadol who attempted to make this birur of Nusach ARI for Ashkenazim, using kesavim that the Baal HaTanya did not possess (see his "Maamar ha-Tefillah."). Personally, I have used most of these siddurim at one time or another. Since my father's family were real Litvaks (from Shat, a small town a little south of Ponevez), I grew up davenning Ashkenaz. Then in the late 1970s, in my enthusiasm for Chassidism, I switched to Nusach Sefard. 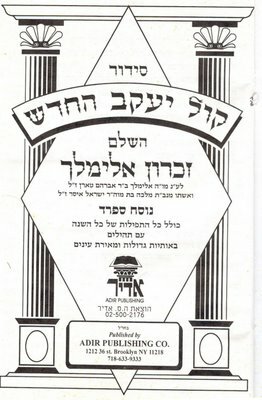 Then to Nusach Chabad from 1980-1987. Then to the Berditchever Siddur for a year or two. Then to the Munkatcher Siddur, which I still use, with a couple of "Breslover" changes here and there. I briefly davenned with the Slonimer Siddur, as well. At this point in my life, however, I am too emotionally attached to the Ashkenzic roots of the Chassidisheh nuschos to change. It is interesting that Reb Nachman is conspicuously silent about the issue of nusach ha-tefillah and the "shaar ha-kollel," as the Maggid of Mezeritch termed Nusach ARI. Although he grew up in "the Baal Shem Tov's cheder" and seems to have davenned with either Reb Asher's Siddur ARI or that of Reb Shabsai Rashkover, these being the two most popular kabbalistic siddurim of his day and region, the Rebbe never makes an issue of the details of nusach. In fact, oral tradition has it that he once remarked, "If I had been born into a family that davenned Nusach Ashkenaz, I would daven Nusach Ashkenaz!" Reb Gedaliah Kenig questioned this sichah; yet it is indicative of something. In Breslev, there was never any preoccupation with such things. 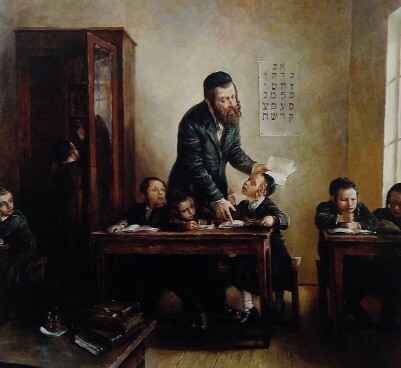 Significantly, the only place where Reb Nachman discusses the "shaar ha-kollel" is in Likkutei Moharan 9 ("Tehomos Yechasyumu") -- where it refers to davenning be-hiskashrus le-tzaddik ha-dor (attachment to the tzaddik of the generation). It seems that in Breslover Chassidus, this is the "thirteenth gate" -- no matter which siddur you use. The manner of man's creation was such that he is drawn in his traits and actions after his friends, conducting himself in accordance with the manners of his peers. Therefore it is important to associate with righteous people and dwell in the presence of the Sages. Conversely, one must distance himself from the wicked who walk in darkness, in order that he not learn from them. "Police Battalion 45 had reached the Ukrainian town of Shepetovka on July 24, when its commander Major Martin Besser, was summoned by the head of Police Regiment South, Colonel Franz. Franz told Besser that by order of Himmler the Jews in Russia were to be destroyed and his Police Battalion 45 was to take part in this task. 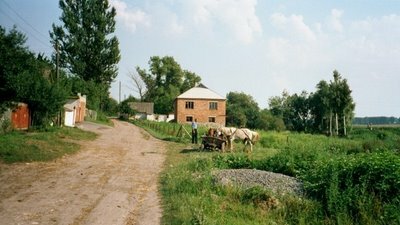 Within days the battalion had massacred the several hundred remaining Jews in Shepetovka, including women and children. Three-figure massacres in various towns followed in August." Sometimes the yetzer hara deceives you by telling you that you committed a grave sin when there was really no sin at all or [at worst you violated] a mere stringency. His intent is that you should feel depressed as a result thereof, and thus be kept from serving the Creator, blessed be He, because of your depression. You must understand this trickery, and say to the yetzer hara: “I will not pay attention to the stringency you referred to. You speak falsely, for your intent is but to keep me from His service, may He be blessed. Even if there really was a degree of sin, my Creator will be more gratified if I do not pay attention to the stringency that you pointed out [to me] to make me depressed in His worship. This is a major principle in the service of the Creator, blessed be He: avoid depression as much as possible. Shabbat for the most part past quietly, too quietly. Gone were the neighbors children complaining that my sons had a run-in with them. What I would give now to hear those wonderful sounds! 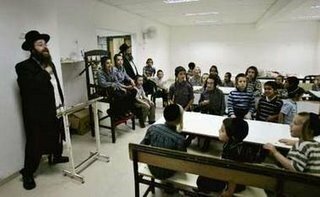 Being one of the few families left in Tsfat, Friday night I had 7 male guests since their usual hosts were not to be found. We had wonderful discussions and we were happy not to be interrupted by the sirens! Shul was unusually empty in quantity. 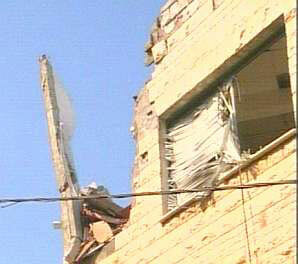 Towards the end of Shabbos though, a mother and her 3 children were hurt by a direct hit on their apartment. They were wounded but alright and recovering at the hospital. This afternoon I was being interviewed on WABC radio 770 on the AM dial in NY on the "Religion on the Line" program 7-10am NY time. Towards the end of the interview the sirens went off, about 5 minutes later I heard the whistle of a katyusha whizzing by. I just found out 2 hit Kiryat Breslov. One hit an area called the "Beit HaAri" which is just a pile of old stones, some say it was where the Ari HaKadosh once lived. The other hit a brand new empty apartment which was just waiting for it's new owners to move in. The children are playing in the converted water cistern, bomb shelter downstairs more or less oblivious to the death and destruction that our Arab cousins insist on raining down on us. There is an old joke of the scorpion that asked the frog to carry him piggy-back to the other side of the river. The frog remarked "but you'll sting me and I'll die". To this the scorpion replied, yes, but if you go down, then I too will drown and die with you. So the frog thought this very logical and let the scorpion on board. Half way across the river, sure enough, the scorpion could not resist and sprang a fatal blow to the frog. The frog was stung and started to sink, on the way down, paralyzed and dieing the frog asked the scorpion why? - to which the scorpion replied it's my nature! Friends, until we learn this lesson, we are bound to repeat it! May this week bring shalom to all of us! Mincha was at 6:30 and I am rarely late, needing to leave my house at 6:20 to be on time. This erev Shabbos my wife asked my to clean the kitchen since 2 older daughters were in Jerusalem enjoying a break from our unwanted air mail packages! So I roled up my sleeves. At 6:50 I was out the door, about 10 minutes before Shabbos. I literally bumped into Jeremy who asks "Do you know where Ascent is located?" in a fine British accent! Now friends, Ascent is a youth hostel and it is closed for the duration like all the other hotels! I hesitate inviting him to sleep over, as we are all sleeping on the floor already crowded. He has no car, no room and no place to be for Shabbos! I think quickly and remember that a neighbor, who also has not left Tsfat and is all alone, was all to happy to give him a room and not charge the usual $100 just to have the company during these difficult times. As I am waiting for him, a city pickup truck pulls up and asks if anyone needs food, handing me 4 trays of food for anyone who needs it! I am startled by this hashgacha pratis, having never saw the city hand out food like this! Jeremy came to shul with me and came to eat with us Friday night and at the 3rd meal, which is where he mostly pieced together this article! This Sunday, the 27th of Tammuz, will mark five years since I visited the kever of the Degel Machaneh Ephraim in Mezhibuz. Between now and Sunday I will try to complete my fifth cycle of learning Degel Machaneh Ephraim and begin again for the sixth cycle. Five years ago, I left a kvittel on the Degel's kever asking that I be matzliach to understand what was written in his holy sefer. With each review, I get a deeper appreciation for its contents and one step closer to this goal. 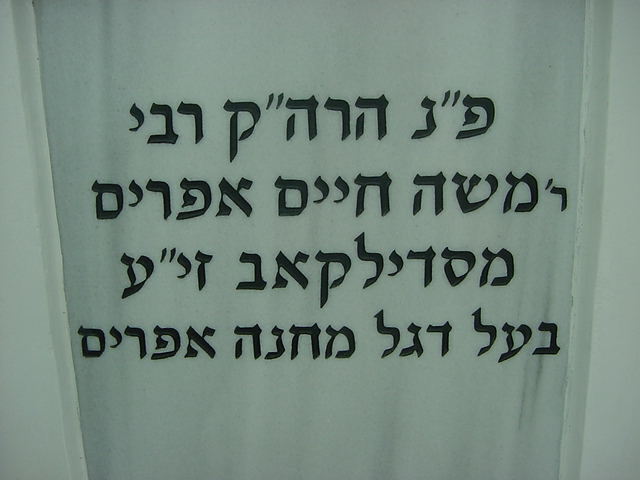 * Does anyone know where I can purchase a small sized printing of Degel Machaneh Ephraim, not in Rashi-script? The current printing is rather large and I would like a small copy that I could carry around with me. Perhaps one of these days they will print microcopies as they do for Noam Elimelech. A person who has genuine depth of character does not feel the need to project his voice. As a college student, I first read Abraham Sutzkever's poem "The Lead Plates at the Rom Press" in my Yiddish Literature class. The imagery of this poem has always stuck with me since Sutzkever wrote about Jewish partisans melting down the lead plates that were used to print volumes of Talmud in order to make bullets to kill Germans in the Vilna Ghetto. With this poem in the back of my mind, a thought popped into my head that twisted Sutzkever's concept a bit and gave it a modern spin. "The printing press has brought much good into the world, allowing the grandeur of the words of Torah to be widely circulated. 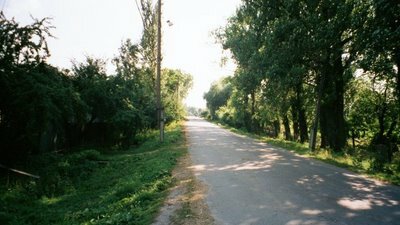 Since most of the scholars are too poor to publish their works they travel from town to town to gather funds for publication costs. By being generous to these scholars you will share in the merit of publishing their books. While all other expenditures for mitzvot are for the moment, this contribution is permanent. This book will be available to provide continuing guidance to our people for future generations." "Rebbe Nachman taught that by 'gathering souls together' the tzaddik is able to ascend to the source of the Torah and bring down lofty Torah ideas. The greater the gathering of souls, the greater the tzaddik's ability to reveal Torah. A printing press operates on the principle of gathering letters together and arranging them in the type-mold. When writing Torah teachings by hand, one can only write a single letter at a time, whereas when printing, one can put enormous numbers of letters together at once and print full pages at a time. The gathering and joining together of the letters corresponds to the gathering of souls that leads to the revelation of Torah teachings - each letter is a spark of a soul. Printing the works of tzaddikim is thus a tremendous revelation of Torah, and that is why it is such a great mitzvah to give charity to finance the printings of these works. Faith and G-dliness are revealed throughout the world. One who gives charity for this purpose will be able to break his avarice and attain true repentance." A year before the Jews of Gush Katif were expelled from their homes, the residents of Neve Dekalim used mortar shells that were fired at their settlement to make a menorah for Chanukah. Just imagine if we could take the debris from Katyusha rockets that were fired at Eretz Yisroel, melt it down, and fashion printing plates out of it. Like the Shapiro Brothers of the famous Slavuta Printing House, we could toivel these plates in a mikvah and then use them to print seforim. In Degel Machaneh Ephraim, Parshas Behaloscha, the Degel quoted a teaching from his grandfather, the Baal Shem Tov, on the subject of war, "All the war that exists in the world stems from the fact that the Malchus is not in a state of unity." Reb Noson of Breslov said (Siach Sarfei Kodesh 181), "I fully believe that even one printed page brings about great rectifications in all the worlds". 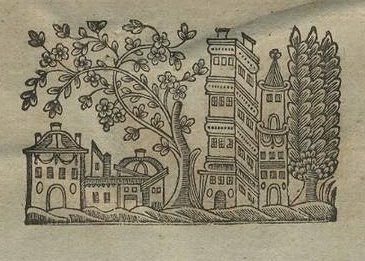 Just imagine what great rectifications such a printing press could bring about; imagine the kedusha that such a printing press could generate. 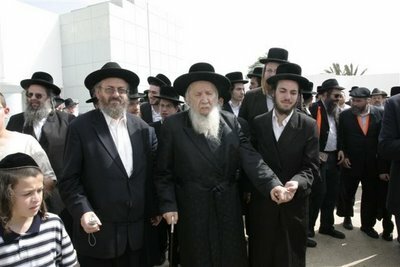 "The Clevelander Rebbe Shlit"a of Ra'anana Israel has asked all Jews worldwide to help in organizing a campaign to help the matzav in Eretz Yisroel by asking all Jews to ask even one fellow Jew who is not yet observant to wear Tefillin and recite the Shema so that the verse "VeRau Kol Amei HaAretz ki Shem Hashem nikra Alecha veYiru mimeka - And all the nations of the world shall see Hashem's name upon you and fear you" shall be fulfilled as the Gemara Brachos teaches that this refers to the Tefillin shel Rosh. May this extra mitzvah observance help the fear of Hashem's people to overcome our enemies and help us defeat them speedily. Amen!" "Miraculous days bring clearer insights. After Tuesday's 52 rockets being shot at Tsfat and only three people lightly injured, I woke up Wednesday morning, with what was for me, getting to the kernel of this war.There are 4 holy cities in the Land of Israel according to our tradition and each is connected to an element. Hebron is earth, as the Patriarchs and Matriarchs, (Sarah/Abraham, Rebbeca/Isaac, Leah/Jacob) are buried there. Jerusalem is fire as it is the Heart where the eternal flame burns. Tiberias is water as the main body of inland water is there. And Tsfat is air, the mystical city. Someone asked a Holy man the other day, "Why is Tsfat being so heavily bombarded?" "Because Tsfat is a holy city and the source of evil behind this is the head of Iran. The source of evil is trying to destroy holiness." This gave a new thought to the endless boom, boom , boom. Made it a little easier to hear. But something didn't totally settle in me. "Holiness" – "Evil"…what does that really mean? Wednesday morning it came to me. Tsfat, the city of air. Air is Life. This is the war that is within us all that is being expressed outside on the planet in technicolor. This is the war between choosing Life, and choosing Death. Terrorists blow themselves up, send children out to the front line, hide behind innocent people, in their fight to bring death to others, and then glorify it. This is the most extreme expression of "choosing death". We all have it subtly and not so subtly within us. Death is the lack of life force within something. Lack, our sense of lack that eats at our innards, is an expression of feeling dead within. At the basic level, when we are hungry, our body is saying "I am in the process of decay and if some life force- food is not put in me I will die." At this point in Creation, we have no choice in this aspect of lack within ourselves. But there is the other lacks that is within our realm of choosing Life or choosing Death. Appreciation is an active expression of choosing Life. Articulating consciously appreciation for even the littlest things, brings more of a sense of life. Try a day of consciously appreciating everything, even the roll of toilet paper you are using. Ahhh……Life. 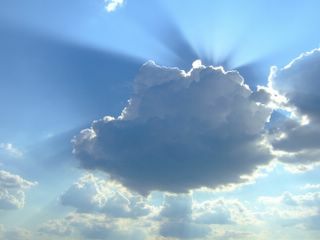 A day of constantly focusing on what is lacking will bring such an energy drain, one will feel "dead" by the evening. Believing in oneself is an expression of choosing Life. The more I believe in my ability to become who I was truly created to be, the more Life comes through me. All fallen fears come from not humbly believing in one's becoming one's unique self- one's unique gift to the planet. We all know the feeling of how fear literally creates a feeling of tightness, shortness of breath, block, disconnection….expressions of death. Hearing the boom, boom outside, I watch how the close booms are technicolor vibrations of death, intending to bring fear and death, or at best just destruction. Destruction……hmmm…… Israel bombs are intended to destroy the infrastructure of Hizballah/Hamas….create a disconnection. (Homeopathically removing the force of "disconnection" through disconnection.) May God protect all of the innocent Lebonese and Palestinian people who are being held "hostage" as the Hizbollah/Hamas/Fatah hides amongst them. Which brings another insight into this hologram……Since everything that is happening in the physical world represents inner dimensions that are within us all, what is this desire for death- Hizbollah/Hamas/Fatah- hiding deeply, intertwined within our desire for Life- the innocent Lebanese and innocent Palestinians? Perhaps if we all contemplate that and find it within ourselves, we can help protect the innocent Lebanese and Palestinian people who are now being used as "shields" for the death focus. Where do we try to "fool" ourselves, make justifications, or blame others, because of our lack of appreciation and/or lack of belief in who we uniquely are? In Israel now (and outside) there is a tremendous sense of coming together, sense of love and care. Even in the world of "money making." All the hotels in Jerusalem are giving discounts for citizens in the north. Free entrance to the zoo, discounts at grocery stores, 50% off SMS messages to "stay in touch with those you care for" as it is advertised. Now why do we need to have our existence threatened in order to come to a place of unity, cooperation, deep care? Something to think about when we are looking at the phenomena within ourselves. Everything that is happening on the outside collectively is happening within us individually. Monday was my day of breakdown. In the morning I started arranging for 3 of our children who were in Jerusalem, to move on to different places. When I heard that a suicide bomber was caught up the street from where the children were staying, fear gripped me so deeply, my mind went into chaos. Where should the children be? I frantically tried to "figure out" the safest place which at the time seemed "nowhere." "Bring them back to Tsfat! How can Ohr Eden go to Bnei Brak? Its near Tel Aviv! How can Hodaya and Yisrael Labe go to Emanuel? There are Palestinian villages all around that place!" I burst into tears and just sobbed for a few minutes, allowing the tension that I had been holding to release. "Ahh….this is exactly what these evil people want. They want me to be in fear," came to my mind. "And who is allowing them to be a vehicle of possibly implanting fear?" a subtle inner voice asked. "OK. Yes, obviously the Holy One is allowing them to play this out." "And why would the Holy One, who wants Life and is the Creator and Love itself, why would He direct such a thing?" from the subtle inner voice. "To force me to the place of knowing, not just in my head, but truly in my being, that it is truly in His control. I make my efforts to make wise/healthy choices, but ultimately Life and Death are in the Divines Providence." I then understood what I needed to do. Each choice/step I would take, should come from a place of choosing connection (in Jewish spirituality terms it means "mitzvah"- that which is intended to bring Divine connection.) I calmed down. My mind cleared. The obvious was for Ohr Eden to go to Bnei Brak where his yeshiva/school was temporarily being moved to Bnei Brak. There he would be spending his day learning Torah, with the intention of bringing Life to the world. The other two children would be going to Emanuel to be with Hodaya's father. OK. Honoring one's father is an act of connection. So the plans were set, and I felt in alignment again (as much as possible at this point.) Yesterday when I quickly ran out into our courtyard to water the garden, hearing the booms, I thought "choose fear and focus on the booms or choose some expression of life. But what intention can I have while watering the plants?" As I sprayed the lilac tree, as the water came pouring out, I saw myself spraying life into the life…..the water flowing onto to these green innocent life giving plants….."Life, life, life" I kept thinking as the water flowed. I ran back inside and got a call from Eliyahu McKlain. For those of you who don't know this special soul, he is a young Jewish man who has dedicated his life to making connections between different peoples of different cultures and religion here in Israel and abroad. A few years ago he snuck into Iraq and stood on stage in a huge auditorium, with his tzit tzit hanging (these are the strings of a garment the Jewish men who follow the spiritual practice of Judaism to remind them of constantly being connected to the Divine) and addressed his cousins as a Jew from Israel. Eliyahu called to see how we were. He told me something that was like water to my soul. He has been getting calls from Palestinians who want to know more about his work and be involved. One woman in particular said "I am not buying into this death message anymore." She wants to immediately get active in his work. We are setting out in a few hours for Jerusalem, the holy fire of the heart, for Shabbat. May the Holy One guide all of our paths in Life through our choosing Life. And as all of us choose Life, may it bring an end to this war, and a removal of those evil forces within us and without that are intent on death." The simple true faith of a Jewish man or woman that finds expression in their recitation of Tehillim, is the most exemplary degree of cleaving to G-d. It arouses G-d's Divine mercies and provides comfort to the one who recites these holy words in a spirit of oneness with G-d.
Last night, I called Rabbi Binyomin Rosenberg in Israel to get an update about the critical situation in Tsfat and the relief activities of Eizer L'Shabbos. 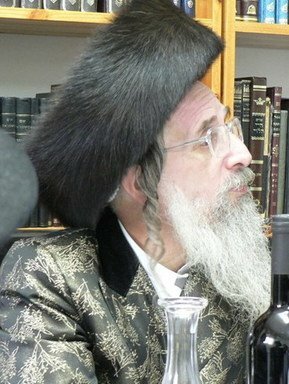 Rabbi Rosenberg related that the rocket attacks have had a devastating effect on the population of Tsfat. The great majority of people have left the city and most of the people who remain behind do not have the financial means to leave. While poverty has always been crushing to the poor people in Tsfat, the rocket attacks has crippled the city, now psychologically scaring many children who live in fear for their lives. With all of the banks closed, supermarkets open for only a few hours a day, most of Tsfat's resident stay close to, or in, the bomb shelters. Rabbi Rosenberg said that he is getting call after call from people who don't have any money, don't have any food, and are too scared to leave their bomb shelters. Despite all of these obstacles, Eizer L'Shabbos continues to provide food to hungry people, arrange for transportation for people who desire to leave Tsfat, and also help those who have left, by finding them a temporary place to live and providing them with food and other basic necessities. Do not turn your back on these people in their time of need. 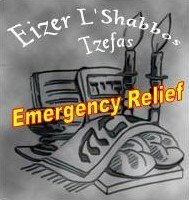 Please join me and send tzedakah to Eizer L'Shabbos to help the people of Tsfat. Even if you can only spare a mere dollar, please send it to help your brothers and sisters in Eretz Yisroel! "Please urge your family and friends to answer the Melitzer Rebbe's call to strengthen one mitzva; tshuva doesn't mean revolutionizing our lives - it means becoming a little bit better and getting a little closer to Hashem than we were yesterday." This story from the 16th of Tammuz about a seven year-old boy who drowned at camp continues to haunt both me and my wife. Each night we talk about it a little more. It makes us hug our daughter a little tighter before she leaves for camp each day. "The child, a member of the Jewish Community Center day camp in Rockville, was one of five children taking the swimming lessons with a swim instructor. Approximately 15 to 20 children were in the pool. Two lifeguards were on duty, along with several other camp staff members at the pool, police said." No matter how I try to understand how this could have happened with so many people nearby, I just don't understand. I cannot fathom what it was like to be this boy's parents upon hearing this horrible news; knowing that regardless of the fact that there was supervision, that now your child was dead. I am so haunted by this story that thinking about it brings me to tears. I wished there was something I could do for these parents whom I do not even know, so on Sunday evening I went over to the shiva house. While both parents looked horrible, the boy's father looked completely devastated; staring blankly and talking only in whispered tones. Despite his tall and muscular stature, he appeared to be no more than a shell of a human being with only the barest of life force sustaining him. Another person introduced me to him and I told him that I had to come to let him know that my family had given tzedakah in merit of his son. I told him that I was a father of three small children and that I had to come after I heard what had happened. The boy's father expressed his gratitude that I came and hugged me tightly. Later, before I left, I went over to him again, and without speaking, I hugged him; hoping that this gesture might bring even the tiniest bit of comfort. "Ribbono shel Olam, please help this family. Please help this family. Please help them!!" 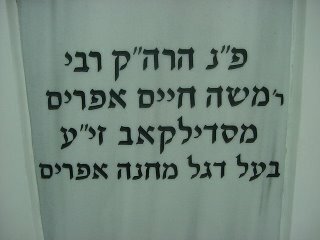 Better that a person purify his soul by kindness, good deeds and the study and observance of the Torah, than fasting. Many people have asked me what in the world am I still doing here in Tsfat. We are here to stay. 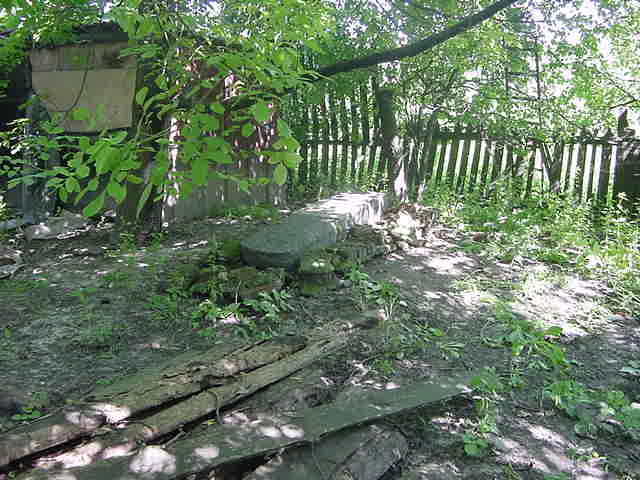 Our 100 year old, solid 0.75 meter thick stone walled house has a water cistern 3-4 meters down underneath the house. We emptied all the water out a while ago and built a staircase with the intention to finish it off as a play room or a music studio but we are making good use of it as a bomb shelter, it is rather large. The hospital was just hit in the latest salvo about 3 hours ago. The katyushas really do not do that much damage unless a direct hit. 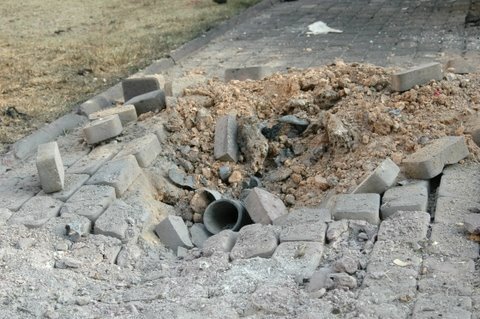 Some of the other longer range missles carry a larger payload and are in fact very dangerous as we saw when an apartment building in Haifa collapsed. We are not going out and we are staying on the 1st floor. Our roof and floor of the 2nd floor are both poured concrete. If an extended salvo of katyushas hits we will go into the bomb shelter, but to stay down there for 24/7 with 11 people is not reasonable. On another note our tefillos have improved qualitatively as well as quantitatively! keep davening and please email, it keeps me busy! About your question on the sidur issue. I personally use "Minchas Elozer" sidur compiled by the Munkatcher Rebe – R’ Tzvi Hersh Shapiro ztz"l (Baal Darkey Tshuvo) which was edited and completed by his son – R’ Chaim Elozer Shapiro ztz"l. (However I use it with some modifications, according to precise Kisvey Arizal). 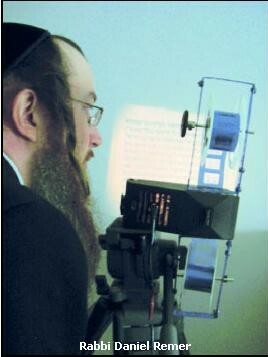 They worked to produce a Chasidic sidur according to nusach Ari za"l.
Minchas Elozer wrote a lengthy "Maymor nusach hatfilo" where he describes results of his work. One main point here is that standard "Nusach Sfarad sidur" is a result of many sidur publishers and not a compilation of any tzadik or mekubol and therefore is very mebulbol. In short it was produces something like this: many tzadikim tried to compile Nusach Ariza"l sidur for themselves, and came with various results of it. Their chasidim followed their rebbes with this variations. Publishers (according to market demand) put all this variations in different brackets, which (brackets) with time were simply dropped! And that’s how most nusach sfarad sidurim came into being. That’s why for one who really wants to use Shaar haKoylel to the best of his ability, standard nusach Sfarad is not the best choice at all. On the other hand, there was a need to produce a high quality sidur which is meduyek. And this was attempted by a number of tzadikim (like Baal haTania ztz"l). However here is another hidden problem, that is – a complicated history of how Kisvey Ariza"l became available in Europe. I shouldn’t write about it now, because it’s too lengthy and complex (if you want to understand it better look into kuntreys "Kisvoyni leDoyros – hishtalshelus Kisvey hoArizal" published by "Ahavas Sholoym". In short, they became available not all at once, but different parts in different times (separated by hundreds years). Therefore many tzadikim of the past didn’t have all ksovim while they compiled their sidurim. And the problem was back – to compile the sidur which is "up to date" according to all available Kisvey Arizal. That’s what Minchas Elozer deed. (He lived not so long ago – just before the WW II). Now a bit about R’ Rimmer’s Tfilas Chaim sidur. While I value the work of Reb Daniel Rimmer (he wrote an extensive article about many aspects of the nusach Arizal from many perspectives, and collected many sources as footnotes to the sidur showing real nusachoys from Kisvey Ari), but I don't necessarily agree to his conclusions. He discards the method of talmidey Baal Shem Tov and the Maggid to apply shaar hakoylel as a modification of nusach Ashkenaz according to Ariza"l. He even questions if they really meant it (even though in several places he explicitly says that they did, by this contradicting his own sfeykoys). Therefore I doubt that many chasidim will use his sidur practically for tfilo, but of course it is very precious as an extensive reference, nice presentation of nusach research and study manual on this subject. 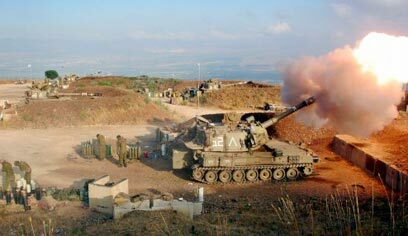 The recent missile attacks launched by Hezbollah on Northern Israel including the historic and holy city of Tsfat reveals to the world the great strategic nature of this area for the Jewish People and all the State of Israel. Residents of the Tsfat and Meron area have suffered fatalities and dozens of casualties. Many homes and buildings have been destroyed. It should be noted that the vast majority of the missiles have been directed to the homes and lives of innocent residents of the Old City. Many have chosen to evacuate, others remain steadfast as guardians of the city and the sacred sites they treasure. Emergency economic relief is necessary to sustain the residents of the city who wish to remain and to assist in the rebuilding effort. Tsfat is the capital of the Upper Galilee and hosts the headquarters of the IDF Northern command. Tsfat is where Prime Minister Olmert and Defense Minister Peretz received their briefings yesterday from commanders of the IDF. Attacks by Hezbollah not only threaten lives but strike at the future of one of Israel’s holiest sites. Tsfat and Meron are places that have given the Jewish people some of its most important contributions of liturgy, Kabbalah and Jewish tradition. These are treasures that the Jewish people must guard and not abandon. Should you wish to speak with someone to give credit card information over the phone, please call Heidi at (516) 823-4010. * This foundation is a 501c3 charitable foundation and all donations are tax deductible. What Siddur Do You Use? I am a bit curious, with your move away (so to speak) from Chabad, which siddur are you using now? I am assuming that you used Tehillas Hashem in the past. Do you still use it, or have you found another one? If so, which one and how is it? 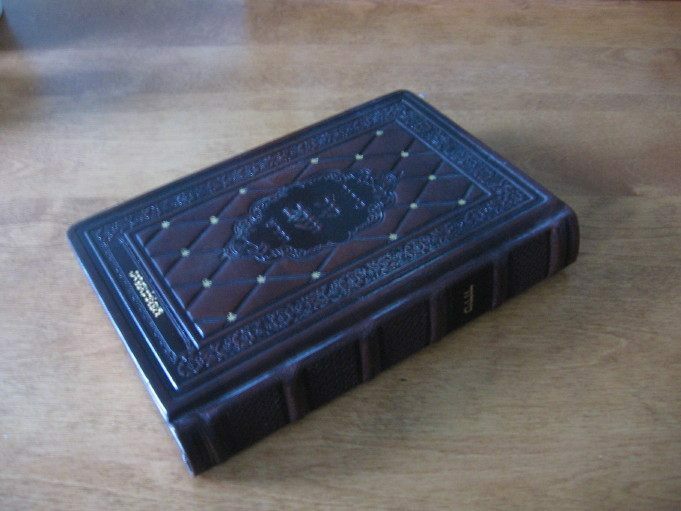 Since 2001, I have been using a full-size antique leather-bound Kol Yaakov HaChadash siddur from Adir Publishing. It is a standard Nusach Sefard siddur and I have grown quite attached to it since I have used it to daven for all of my three children. My first siddur was a Artscroll Nusach Ashkenaz siddur that I used for a few years. I switched to using Chabad's Tehillas Hashem siddur once I returned home from Israel in 1994 and continued using it until 2001. I decided to use Kol Yaakov HaChadash since it was a universal chassidic siddur that was not attributed to any one type of Chassidus. I also liked it because of the large font size and more rounded typeface it uses. Shmiras HaBris and guarding the mind are one and the same. I also suspect that my liking for Irgun fighters is similarly inspired – I also suspect that this is not at all uncommon. 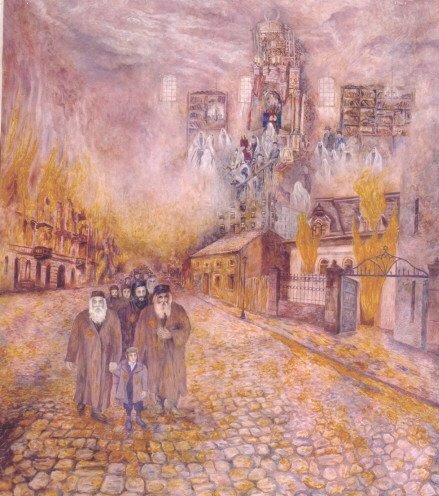 When we talk about Channuka or Purim, (or as a Chossid, the same can applied to the great moments in Chassidic history) – we are inspired by the struggles to overcome opposition and stand up and fight for your beliefs in the face of great hatred – no doubt people, like myself, who felt that they lacked that kind of intestinal fortitude are impressed by, and aspire to, that inner strength. As a child I was an appeaser; I avoided conflict at all cost, and allowed myself to be bullied on many occasions. I became very skilled at diffusing situations - telling myself that I was being a better person, that I was above fighting, but knowing in my heart that I was just "wimping out." I grew in a fairly liberal area, so pacifism was somewhat of an ideal - but I knew that I was selling myself out. I wish I would have stood up for myself then; at this point in my life, I try hard to make sure my backbone is in place - and not be fall prey to my tendency to avoid conflict. I also want my children to stand up for themselves, and not be taken advantage of (when I would probably not have at their age). I try to speak to them about this often. I remember reading that a certain Rebbe’s father would often read him stories from Chazal & Tanach that displayed inner courage and strength when he was a small child, in order to infused him with these qualities. Well, here it is 1st hand, my 8 children are definitly scared, a katyusha landed about 100 feet from our house and broke most of the neighbors windows. When it exploded I jumped up from a sound sleep and ordered everyone into our 100 year old empty water cistern. All our neighbors have left Tsfat for Shabbos. We are staying, although 2 daughters and my grand daughter went to Betar. A katyusha landed in the courtyard of another neighbor. We past the night with much angst listening to the katyushas fall on Mount Meron. All morning we have been listing to the katyushas fall in the distance. Please daven for ALL Am Yisroel!!! 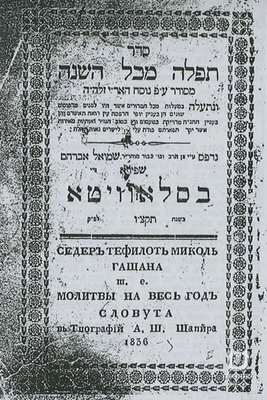 "This week one of the prominent shluchim in Europe discovered one of the first copies of the Alter Rebbe's Siddur printed in Slavita in 1836. This is a very important and invaluable discovery." * Thanks to my friend Yitz of Heichal Hanegina for bringing this to my attention. I plan to post more on the topic of siddurim on Monday. Too often we are frustrated when we notice a divergence between what is written and what is done. Too often we mistake our interpretations for the truth. Too often our resolve is not as strong as we imagined it to be. Too often our complacency prevents us from taking steps forward. Too often we rationalize that what we do everyday is of little value. Too often, Ribbono shel Olam, too often. If you do not believe with complete faith that G-d renews the act of creation each day, then you will see prayer and the mitzvos as hackneyed and commonplace, and you will scorn the recitation of the same words every day. The world is full of strife. There are wars between the great world powers. There are conflicts within different localities. There are feuds among families. There is discord between neighbors. There is friction within a household, between man and wife, between parents and children. Life is short. People die every day. The day that has passed will never return and death comes closer every day. But people still fight and never once remember their goal in life. All strife is identical. The friction within a family is a counterpart of the wars between nations. Each person in a household is the counterpart of a world power and their quarrels are the wars between those powers. The traits of each nation are also reflected in these individuals. Some nations are known for anger, others for blood-thirstiness. Each one has its particular trait. The counterparts of these traits are found in each household. You may wish to live in peace. You have no desire for strife. Still you are forced into dispute and conflict. Nations are the same. A nation may desire peace and make many concessions to achieve it. But no matter how much it tries to remain neutral, it can still be caught up in war. Two opposing sides can demand its allegiance until it is drawn into war against its will. The same is true in a household. Man is a miniature world. His essence contains the world and everything in it. A man and his family contain the nations of the world, including all their battles. A man living alone can become insane. Within him are all the warring nations. His personality is that of the victorious nation. Each time a different nation is victorious, he must change completely and this can drive him insane. He is alone and cannot express the war within him. But when one lives with others, these battles are expressed toward his family and friends. There may be strife in the household of a tzaddik. This too is a war between nations. It is also the war between the twelve tribes, such as between Ephraim and Yehudah. When Moshiach comes all wars will be abolished. The world will have eternal peace, as it is written, "They will neither hurt nor destroy…" (Yeshayahu 11:9). The Three Weeks begin today. * This children's book is now out of print. If anyone knows where I can purchase a copy at a reasonable price, please let me know. Just when all is breaking loose and there's war on 2 fronts, my blog host (of Lazer Beams) is down for maintenance. Akiva asked, "What tefilot (prayers) or specific actions of tzedakah (charity) or teshuva (repentence) can be done given the current situation in Israel?" The Melitzer Rebbe, shlita, says that if each Jew takes one small thing and decides to be better, it will make a tremendous impression in shamayim (heaven); this is also something that everyone can do. Rav Shalom Arush, shlita says that the heavy artillery is one hour of teshuva (repentence/reconnecting with Hashem) a day. One night when my wife was still in the hospital, my daughter and I returned home from a visit to the hospital to find my son waiting for us with his grandmother holding onto two balloons. One was a round red balloon and the other one was a blue star-shaped balloon. My daughter immediately demanded the blue balloon. When her brother kept the red balloon for himself she threw herself on the floor, crying hysterically. Ordinarily, I would not have viewed this outburst in a larger perspective. However, given the fact that I knew that my daughter was distraught because her mother was staying overnight in the hospital and would not be home that night, I suddenly realized that her brother's refusal to give her the balloon she wanted was not what was upsetting her; it was just the final event that opened up the floodgate of emotions that my daughter was carrying inside her. Understanding this, I picked her up and held her, reassuring her that he mother would be home again. This seemed to comfort my daughter and she was able to calm down and forget about the balloon. 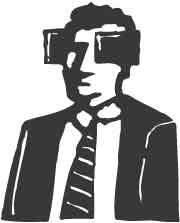 With this event, I understood that I needed to remove my blinders when dealing with people and attempt to see things in greater context; to remember that people are just like icebergs. Philosophy ends with the physical world, since it knows nothing beyond the stars. There are really many levels of worlds beyond this, which is where the wisdom of the Kaballah begins. Can you explain how Sifrei Chassidus interpret Shlomo Hamelech marrying the daughter of Pharoh (I Melachim 3:1) and Shimshon marrying a Phillistine woman (Shoftim 14)? Is there an explanation that will help me see past the pshat? Yes, it's quite interesting indeed. According to some, Shlomo Hamelech (the greatest of kings and wisest of men) wrote Shir HaShirim for Pharaoh's daughter - the furthest possible thing from the "nice Jewish girl" that every Jewish parent wants their son to marry. Shimshon too, is only interested in Philistine women, and when reading the account of Shimshon's life in sefer Shoftim we cannot help but be struck by how odd a story it seems to be. Shimshon HaShofet and Shlomo HaMelech are both great tzaddikim - leaders of their generation, and for all time. They are recognized in Torah as great men and all Jews look up to them; they certainly aren't simple people with simple desires by any stretch of the imagination. These are two of our greatest and holiest tzaddikim, so we can't help but wonder about their interest and marriage to these non-Jewish women. Shlomo HaMelech is the greatest king in Jewish history, and he brings the Jewish nation to its zenith. The name Shlomo signifies completeness - and it was under Shlomo reign that the borders of Israel expanded to their fullest state, reaching the Euphrates River (as G-d promises in the book of Devorim). It was under King Shlomo that the Jewish nation was a superpower. During exile, Jews are scattered throughout the world in order to uplift lost sparks of holiness amid impurity. We must seek them out and rectify them, and have been doing so for quite a long time - but then, in the time of Shlomo, that wasn't necessary, because the sparks could be uplifted from afar. Sitting in his palace, Shlomo could accomplish this task - because of his great power and because the sparks would come to him, so to speak, instead of him having to come to them. Pharaoh represents the kingdom of impurity, his daughter, the princess of impurity; and yet, she travels to Shlomo. She desires that Shlomo uplift her, and thereby uplift and rectify Mitzrayim - the lowest levels of impurity. She begs the king to marry her. The husband/wife relationship is one of mahpia/mekabel (imparter / receiver) - in our case signifying the submission of impurity to the holy. This is the ultimate in uplifting sparks: The sparks come to him to be uplifted, and he does. This is the greatest of achievements and the greatest joy - worthy of Shir HaShirim - he uplifted (because he was able to) the deepest darkest empire and all it contained. Similarly, I think, we can apply this to Shimshon. Shimshon lives at a time when Israel needs a savior from the Pelishtim (Phillistines). Shimshon has the ability (through his high level) to rectify and overwhelm the forces of impurity that the Pelishtim have, by marrying the Philistine woman. To succeed he must have relations with her. The first wife doesn't work out and the second wife won't allow this until he tells her the secret of his strength. Every time he makes up an answer it is exposed as false - until he realizes that he must tell her in order to bring the Pelishtim down. He tells her, and succeeds, while sacrificing his life. When I first learned Shoftim in 8th grade, the story of Shimshon made absolutely no sense to me, and it is still probably one of the harder stories to understand, but when I looked at it from this perspective I found it to be another matter entirely! Chabakuk Elisha: Thank you for allowing me to see this from an entirely different perspective, however I recently came across a teaching that implies that despite the intent of these tzaddikim, the intent of their wives was far from kedusha. "Shlomo converted women and married them and similarly, Shimshon converted women and married them. It is well known that their converted only because of an ulterior motive and their conversion was not under the guidance of a beis din. Hence the Tanach considered them as if they were gentiles and they remained forbidden. Moreover, their conduct ultimately revealed their initial intent, for they would worship false deities and build alters for them. Therefore the Scriptures considered it as if [Shlomo] built them, as [I Melachim 11:7] it states, "And then Shlomo built an altar." With this teaching, is the Rambam cautioning others from attempting to uplift the sparks of kedusha as Shlomo and Shimshon did? Yes - My goal was to look a little behind the surface, but we must keep this caveat in mind: "These accounts in Torah were performed by highly trained professionals - do not try this at home"
As we spoke about earlier, our lowest level of reality is not necessarily conscious of the root of our desires. Just as we think that our desire for food is physical, when in truth it comes from a spiritual source where the driving force is actually to raise up the food - so too, the Egyptian princess may think her desire for Shlomo is physical, when in actuality it is klippa seeking its perfection. Nevertheless, sometimes the greatest intentions don't succeed - and it does seem that Shlomo was not completely successful with his wives. 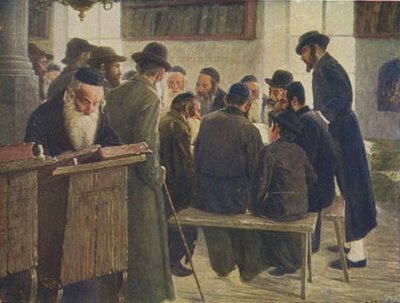 If intention to perform a mitzvah is so important as to earn reward regardless of whether or not the mitzvah was actually performed, then certainly when a person sacrifices his own opportunity to perform a mitzvah in order to afford another the chance, the reward for this is far beyond our conception.